Use with Dura Cotta or Milano planter to collect water drainage. Traditional deep design, lightweight and durable. ;Colors coordinate with the Bloem Dura Cotta and Milano planters. 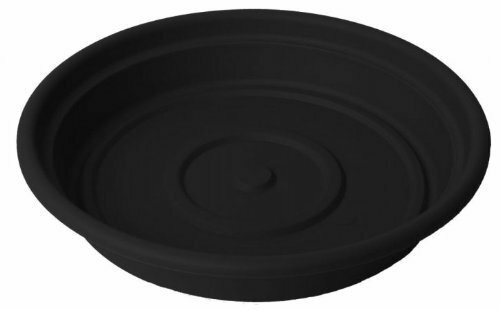 ;The 14-inch saucer measures 13-5/8-inch diameter by 2-1/2-inch deep. ;Deep durable saucer. ;Planter sold separately. Product Weight: 5 Lbs.